That’s called Getting Famous Fast. 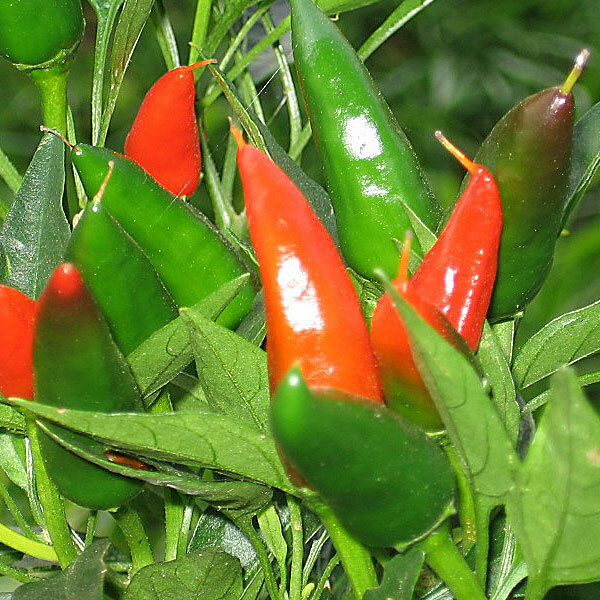 Although a type of mirasol chile has been grown in the Pueblo area for more than a hundred years, the current craze for the Pueblo chile began in 1992. That’s when Dr. Michael Bartolo, an extension vegetable crops specialist and associate professor at Colorado State University’s Arkansas Valley Research Center, obtained a plant of a strain of Pueblo chile from his uncle, Harry Mosco, a farmer on the Saint Charles Mesa, east of Pueblo. Bartolo writes, “Seed from that original plant was subsequently sown in 1995. In 1995, a single plant was then selected out of that population. The single plant selection process was repeated for three more years (1996-1998). In 1999-2004, the seed from selected uniform plants was bulked for testing at Colorado State University’s Arkansas Valley Research (AVRC) in Rocky Ford, Colorado.” In 2005, Arkansas Valley growers first planted the ‘Mosco’ variety Bartolo developed. Today, ‘Mosco’ is one of the most popular varieties grown in and around the Pueblo area. Readers should note that the Pueblo chile grown in Colorado is completely different from the New Mexican ‘Pueblo’ variety. And interestingly, although Coloradans declare that Pueblo chile is superior to Hatch chile, their Pueblo chile has a strong New Mexican connection. According to Bartolo, “The Pueblo chile is characterized by the upright growth habit of the pepper. Hence the name Mira Sol, which translates into looking at the sun.” He adds that the Pueblo chile originated in Mexico and was brought into the United States as a ‘Mirasol’ around 1910 and was improved by horticulturist Fabian Garcia, a chile pepper researcher at what is now New Mexico State University. From there, the pepper somehow made its way into southern Colorado where farmers grew it haphazardly until Bartolo began to improve the crop by using classic crop breeding techniques. The growth habit of the Pueblo chile is lower and more branching than the typical Anaheim and Mira Sol peppers. The fruit grows in an upright position but may bend downward as the pods reach full maturity and weight. ‘Mosco’ has thick fruit walls and high yield potential. ‘Mosco’ is more pungent than a typical Anaheim-type pepper, having an estimated pungency of 5,000 to 6,000 Scoville Heat Units, or five to six times the pungency of a ‘NuMex No. 6-4 Heritage’ pod, better known as “Hatch.” The ‘Mosco’ fruits are broad shouldered, taper to a point at the end, and measure 5 to 6 inches in length. The pods start green and mature to a bright red. Bartolo believes that the red ‘Mosco’ chile is a bit sweeter with a subtler heat than the green. The ‘Mosco’ variety is an excellent roasting chile, green or red. And that’s what convinced Steve Lunzer, regional coordinator at Whole Foods Market, to replace Hatch chiles with those from Pueblo in 2015. He said, “The Pueblo chile has been overlooked. 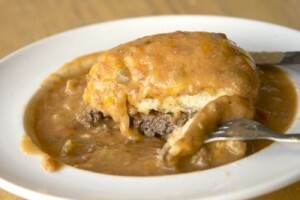 I’m a huge green chile fanatic myself. I also quickly realized that Pueblo has a more intense flavor, thicker meat on the peppers, and are much better for roasting.” He announced that Whole Foods plans to put 125,000 pounds throughout most of the Rocky Mountain region, including Colorado, Kansas, Idaho and Utah. The Whole Foods Market’s acceptance of the Pueblo chile was a breakthrough for the southern Colorado chile industry and was the result of an intense collaboration of resources. First, because of marijuana legalization and taxation starting in 2013, the state of Colorado is awash with really green money. Next came some agricultural grants, the founding of the Pueblo Chile Growers Association, and then a trademark, a logo, a branding campaign, and agri-tourism with a road map for chileheads who want to visit the green chile farms in Pueblo County and get their fix right from the source. What does your car need for traversing the highways on the chilehead roadmap? A Pueblo chile pepper license plate, obviously. 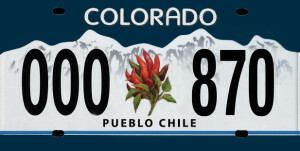 The idea of a Pueblo Chile group special license plate occurred during a casual conversation between state representative Daneya Esgar and Pueblo county commissioner Buffie McFadyen. “We want to make sure that all of Colorado knows that Pueblo Chile is our chile. Pueblo Chile is Colorado’s Chile, and eventually will be the leading brand of chile across the United States,” representative Esgar said in a press conference revealing a mock-up of what the license plate could look like at the Pueblo Chile & Frijoles Festival on Friday, September 23, 2016. For the past twenty-two years, Pueblo Chiles have been taking over Pueblo for an entire weekend during the annual Pueblo Chile & Frijoles Festival. 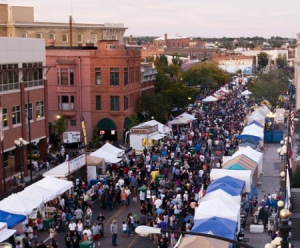 In 2016, the festival filled up Pueblo’s Union Avenue Historic Commercial District with booths Pueblo chiles and related foodstuffs. It ran for a half-mile, passing the Riverwalk and the headquarters of the Professional Bull Riders Association. More than 40 music acts filled four entertainment tents, playing rock, folk, R&B, blues, and pop, and about 50 food vendors sold green chile-infused treats, ranging from Hopscotch Bakery’s chile shortbread to O’Hara’s green chile jam. Another booth sold “green chile ice cream sundaes” with green chile-infused chocolate and raspberry toppings. There were also competitions to see who can produce the best individual and of commercial green chile dishes. The highlight of the festival began at nightfall, when chile roasters lit up the street as flames from the propane burners blackened the chiles. Farms outside of Pueblo brought in thousands of bushels of green chiles and roasted them in homemade, cylindrical metal roasters that seemed to glow in the dark. The Pueblo Chamber of Commerce reported that the 2016 Chile and Frijoles Festival set attendance records. An estimated 140,000 to 150,000 people came to Pueblo for the three day event. The Pueblo green and red chiles are used in the standard Mexican dishes served in the Southwest, like enchiladas, burritos, green chile stew, tamales, and so on. But the Pueblo area has one specialty dish: a “slopper.” It’s a cheeseburger (or hamburger) served smothered in red chili or green chili or chili sauce. Sloppers generally include grilled buns and are often topped with freshly chopped onions and sometimes french fries. They are typically eaten with a fork and a knife or spoon. Are Pueblo chiles the beginning of the end for Hatch chiles? Don’t count on it.